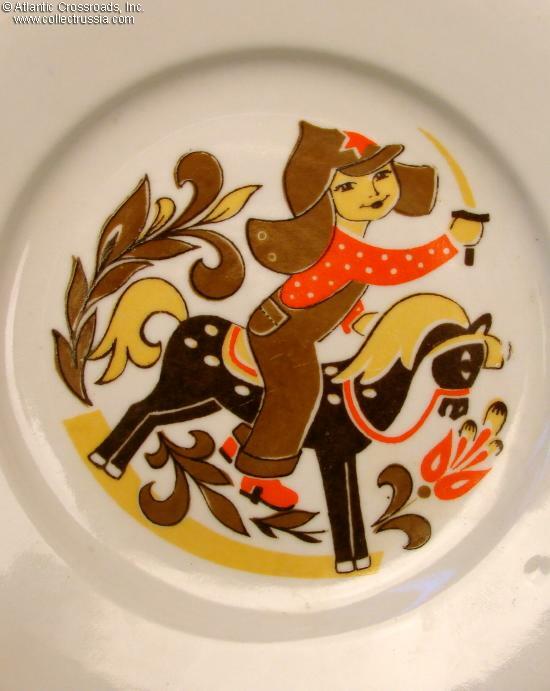 Porcelain Dessert Plate "Little Boy on a Horse", Baranovka Porcelain Factory, 1973-1980s. Measures 8" in diameter. 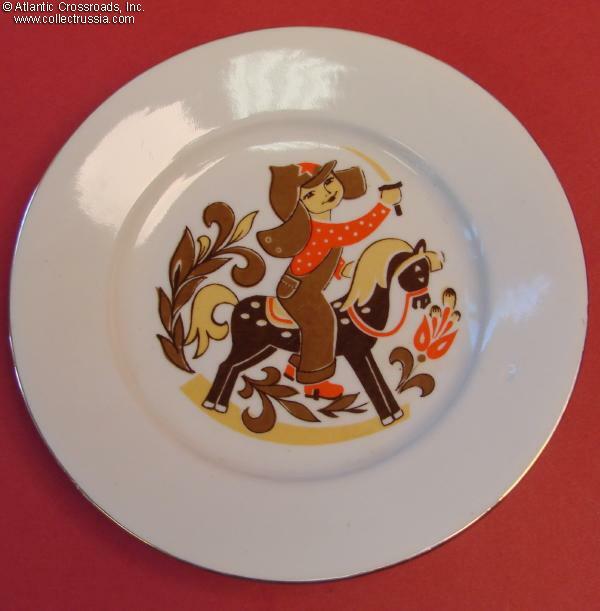 Shows a young boy happily playing at being a Civil War era Red Army cavalryman (a favorite motif of Soviet ceramicists was young children playing Civil War era soldiers). 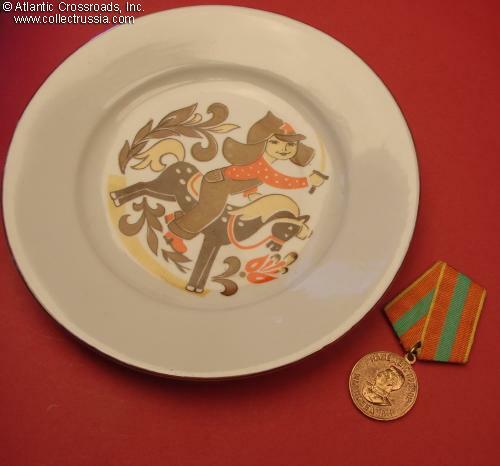 The reverse has the Baranovka Porcelain factory trademark /fig. 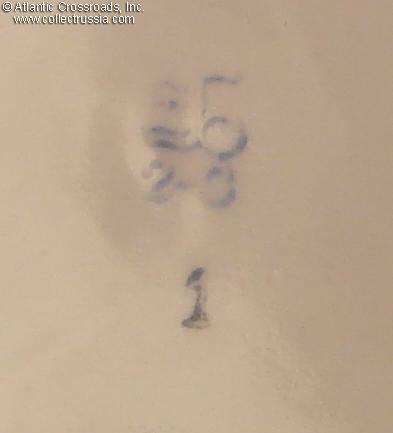 #47 in Volume One of "Marks on Soviet Porcelain, Faience, and Majolica, 1917-1991 by Nasonova et al"/. 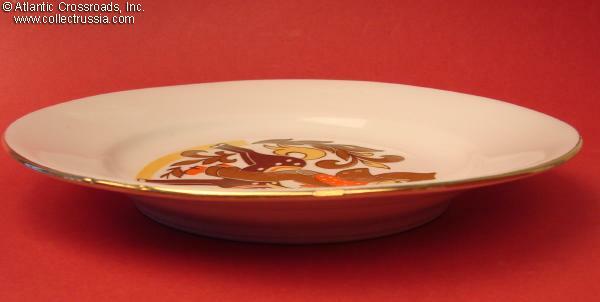 Very good condition with nicely preserved gold edging. 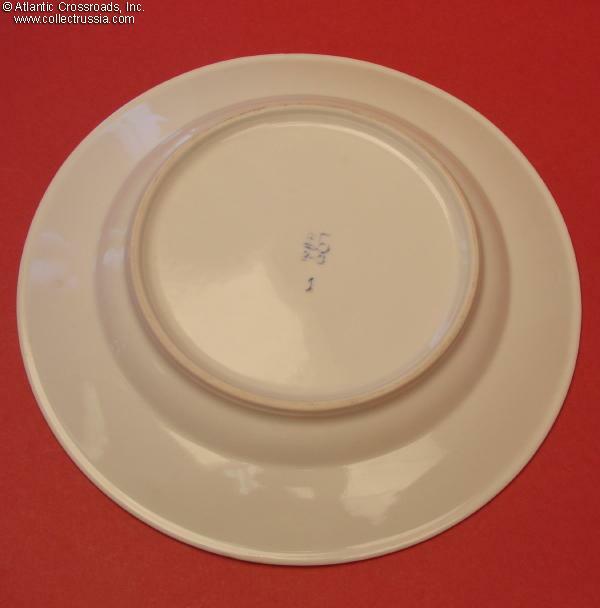 There is a tiny dimple on the surface of the rim at four o'clock, a minor, virtually unnoticeable mark that was present on the plate before it was fired and is not the result of subsequent damage?